﻿ Restaurants in Cassis France - Fresh Seafood at its Best! 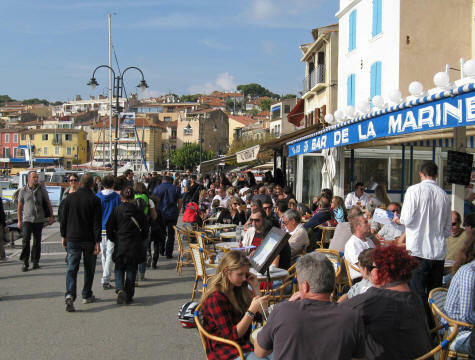 Visitors to Cassis France can enjoy some of the Mediterranean's best seafood at one of several outdoor restaurants that line the busy boat harbor. In addition to enjoying great food, patrons can enjoy spectacular views of Cap Canaille and the Cassis yacht harbor from these popular restaurants.